Are you thinking about applying to join Shot of Scotch Vancouver? Do you have questions for us about your application and joining SoS Van? Let us help you by answering some commons ones we've received! If you have other questions, please contact us! As a member of SoS Van, you'll have the opportunity to dance at world-class events, be part of ground breaking choreographies, work with pipe bands and live musicians on a regular basis, and be a part of a dedicated awesome team of dancers. We are a professional performance company which means you will be paid for your talents. Since we formed 6 years ago, we've performed all over the lower mainland BC as well as travelled to Paris, NYC, Nanchang China, Washington state and Vancouver Island! 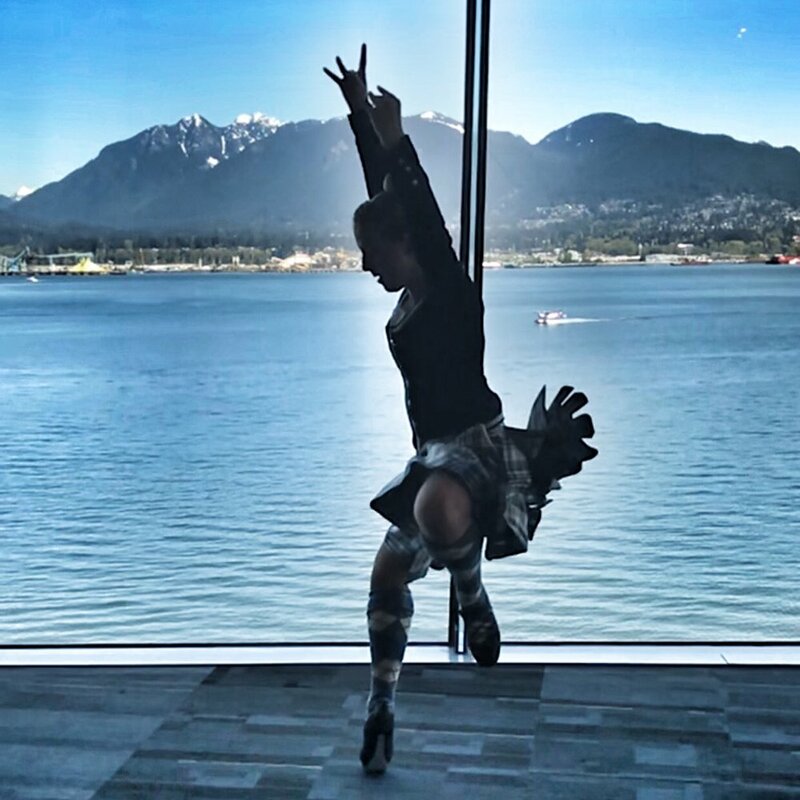 Shot of Scotch Vancouver’s mission is to provide community-based opportunities for adult highland dancers to continue to dance at a high level beyond their competitive careers. We have had members ranging in age from 18 to their mid-40’s. We are a supportive and united team of highland dancers that love to share our passion of dance with our communities. You have until May 31st to send us your application! Applicants will be contacted in June and new members will start rehearsals in July or Aug. Dancers away during summer months are still encouraged to apply as a Sept start date is possible. All audition application details can be found HERE. Q: When you say "Premier-Level" required, what does that mean? A: We ask that all dancers applying are at a "premier level" - however we say that without regard to your competitive history. What we require is that all dancers are very familiar with the traditional premier dances (including nationals, jigs and hornpipes) and with a little training can get into solid SOBHD technical shape. We do not expect championship form from all dancers but cannot take time in rehearsals to teach steps that a premier level dancer would already know. Collectively we are working to constantly improve our technique, strength and endurance. The amount of time spent in a premier category while competing (or not competing) isn't important to us. Q: I am a currently a competitive dancer, can I still apply? A: This depends on the level of focus you have on your competitions. If you are competing regularly and are mainly focused on championships, we think that's fantastic and fully support you doing it - but we would prefer you apply to join us after you have hung up your championship ghillies. We are looking for dancers that are fully committed to performance dance (at a high technical level) and won't feel too stretched between competition and SoS Van projects. That certainly doesn't mean that you can't still enter a competition here or there just for fun, but we want your main highland project to be working with SoS Van. Q: What if I have other dance training? Do you want to know about that? A: Other dance training and performance experience is definitely an asset! Please tell us all about your training on the application form. Q: How much of a time commitment do you expect from an Apprentice member? A: We currently rehearse once per week on Wednesday evenings in downtown Vancouver. Apprentice members are given more flexibility in attendance than our full members, but we would like for them to attend as frequently as possible. Ideally our apprentice members are in training to take on full member positions. Occasionally extra rehearsals are needed to prepare for special performances, but we know everyone is very busy and try to get as much done on Wednesday nights as possible. We are currently doing at least 1-2 performances a month, but not all members attend every performance. Approximately every 2 years we have planned for a large performance trip that is available (though not mandatory) to all members. We expect new members to be with the company for a minimum of one full year, ideally much longer. Q: I have a regular day job - is that a problem? A: Having a dedicated daytime work schedule is not at all a problem! We rarely do have day time commitments and when we do, there are a few of us that have more flexible schedules. Knowing in advance when you are available or not is what's most important. Older PostShot of Scotch Newsletter -- Spring 2019!